Floral top, colored cardigan & neutral pant = happy mid-week outfit. Eating healthier – Wasn’t as good as last week about prepping food ahead of time and it shows. No loss this week. When I don’t have meals planned out or food I can grab quickly when hunger hits – I tend to eat whatever looks the most yummy. Exercising: Only 3 days of 10K steps. Sorta fell out of my workout rhythm last week. Post 4x: 4 posts. Success. Love your blog! Just wanted to comment and say that I don't think that actress (from the inspiration) has ever been in Parks and Rec? She's from Community though! What a cute print top! 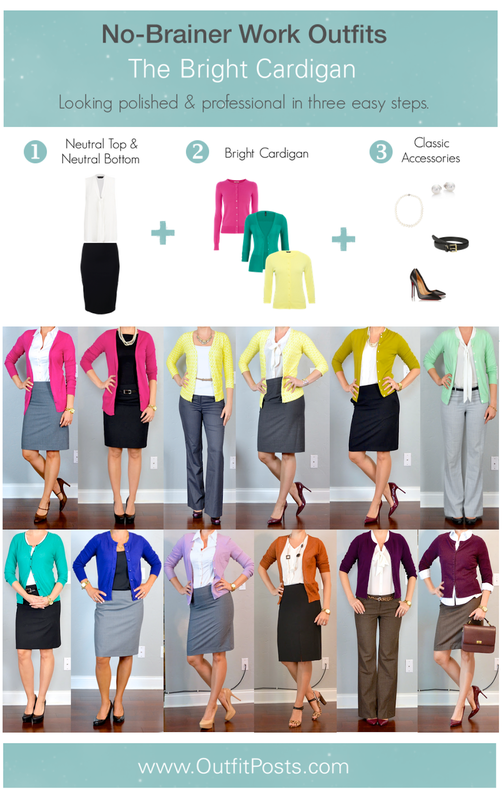 *LOVE* the color combo – the grey pants are perfect! Oopsie! That's what I meant to type!